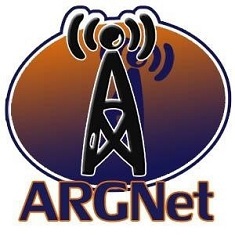 We here at ARGNet would like to recognize the addition of a new team member, and the promotion of another. First, we’re happy to announce that long-time ARG community member Celina Beach (aka celina63) has joined our staff, and has already published a great article about Project Osprey. Celina was an invaluable resource at the latest ARGFest, recording video of all the panel discussions, which were later encoded and uploaded to Youtube. She is also a frequent panelist on the ARG Netcast series. Welcome, Celina! Second, we’re ecstatic to tell you that Marie Lamb has moved up in the ARGNet ranks to become an associate editor. For those unaware of the responsibilities involved, Marie now has the dubious distinction of reading through, proofreading and publishing staff and reader-submitted articles, as well as answering emails and messages sent through our contact form. This is a big responsibility, especially for a volunteer (which we all still are), so we’re very grateful to the very lovely and wonderful Marie. She will work with Jessica Price and me to make sure that all the news that’s fit to print will get out to our readers in a timely fashion. Speaking of articles, are you up for the task of writing short, blurbtastic news items about currently active games? Do you have a rumor that you want your fellow readers to know about? Is there a feature article or editorial burning in the back of your mind that you simply must publish before it gives you a stroke? Well, we’ve got a deal for you — ARGNet is looking for writers, and we think you might be someone we’re looking for. We have openings for staff writers who are interested in working in a professional(ish), fun, interesting environment, so if you want to help us crank the news out as a volunteer writer, drop us a line.